As Pastor of Mount Zion Baptist Church, I invite you to come and be part of our church family. It is our desire to reach into the heart of our community—one person at a time. Many people think of a community as an area local to their home; yet, the Bible teaches us that a community is wherever God takes us on our journey through life. As we journey, God allows us to influence others with the Gospel of Jesus Christ. If you have been thinking and praying about a place to serve the Lord, you have come to the right place. 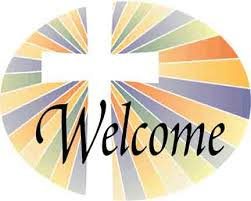 We would love to warmly welcome you into our church family.